From the "What is that?" Department, we bring you the enigmatic Xenoturbella (strange flatworm). It looks like abandoned footwear, or a deflated balloon, or a lost toy, or just some other piece of litter that sank to the ocean floor. Yet, it's a living creature that causes debate among scientists. Xenoturbella has genome bits from various creatures, and some scientists think it eats mollusks. But how? No innards to speak of for digestion, no brain, no backbone — I think I'm describing some of my stalkers too, but never mind about that now. "Newspaper" headlines and title generated at AddLetters.com. Darwin's cheerleaders are committed to the cause can see evolution in practically everything, I'll allow that change happens, but something changing into something else has never been observed, you savvy? And these owlhoots are thinking that this critter that cannot be explained can help them pin down evolutionary origins. Not hardly! Although fascinating, Xenoturbella is not evidence for evolution by any stretch. 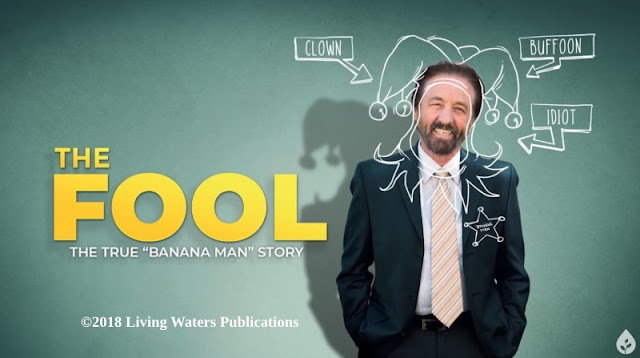 (Mayhaps we shouldn't be surprised, since evolutionists pulled the same kind of stunt with the acorn worm.) Actually, I reckon that it shows the Creator's sense of humor, design, and is a reminder to pompous scientists that they really don't know as much as they seem to think. Resembling a discarded purple sock, Xenoturbella has baffled scientists since its early 20th century discovery on the seafloor off the coast of Sweden. Its classification among the many creatures in the animal kingdom has shifted like the tides as each new bit of information about it has surfaced. 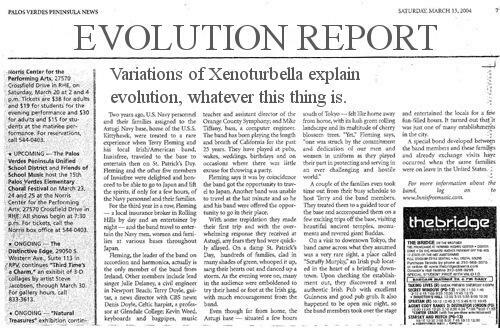 Furthermore, Xenoturbella’s proper placement on the tree of life has long been a matter of debate among evolutionists. Now, analysis of four newly discovered species from the Pacific Basin has refined its taxonomic position and led evolutionists to declare with confidence that Xenoturbella can help us learn how animals and humans evolved their internal organs. 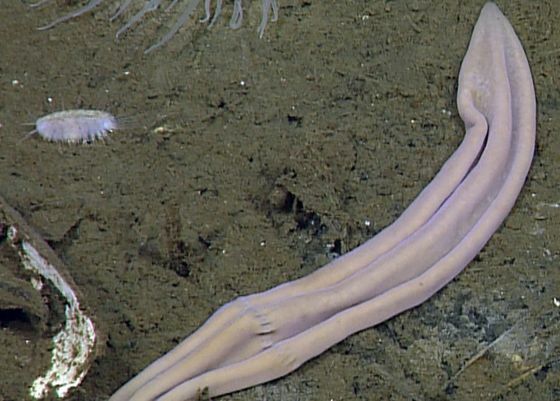 To read the rest, click on 'Do Deep-Sea “Purple Socks” Hold Early Evolutionary Secrets?' — if you have the intestinal fortitude.